Photo Archive – AAA Partnership Pvt. 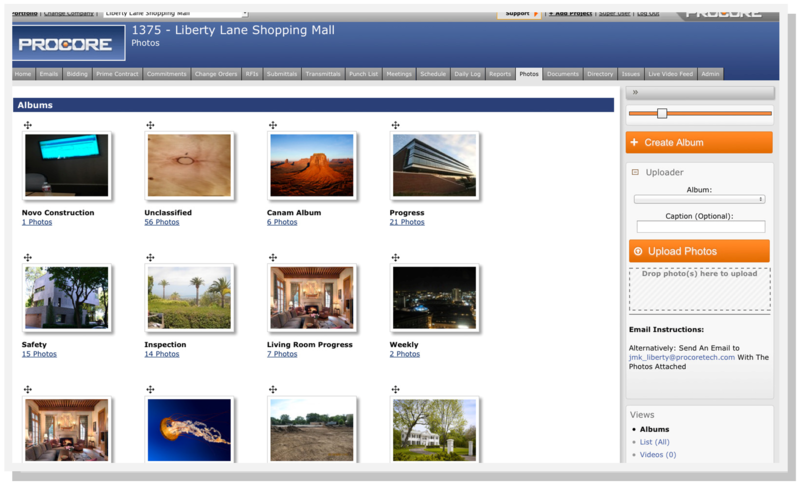 Ltd.
Procore's construction project management software lets you store as many photos as you like for no extra charge. From the first site visit to the last day of the project, Procore can archive and protect your digital photos. Procore construction software makes it easy to create image categories on the fly. Organize your photos by date, job phase, sub-contractor, site section, or any other criteria you want to use. Every Photo Archive in Procore has its own email address, allowing users to submit photos via email. Plus, Procore's mobile apps for iPhone and Android let Procore users add photos on-the-fly, straight from the job site. Approved Procore users can quickly forward photos from Procore's Photo Archive to any other Procore user. Add attachments to your photo email, provide comments, and create a comprehensive message.